Mano Moolam Idam Jagath. The mind is the basis for all creation. Therefore, the mind is the key for getting either bound to or liberated from this world. Mana Eva Manushyaanaam Kaaranam Bandha Mokshayoho. Turning the mind towards the world gets us bound to it whereas turning the mind towards God liberates us and takes us to eternal freedom. However, this is easier said than done. Controlling the mind is an uphill task. Bhagawan often refers to the human mind as a monkey mind. To add it further, He says, it is like a monkey that is drunk and also bitten by a scorpion! How then can we put a check to the vagaries of this mind and turn it inwards towards our true Self (God)? For this, just like any doctor would do, we need to conduct a diagnostic check and identify what the disease is, in the very first place. Our dear Lord as the Divine Doctor comes to our rescue here. Being the very creator of the mind and the world, He is the only one who could give us a detailed explanation of the anatomy of our mind, and that is precisely what He does in this posting. In the previous posting Bhagawan explained to us three critical vagaries of the human mind that are responsible for the illusion that it creates and for subjecting us to Self-forgetfulness, thus binding us to this illusory world. These three vagaries of the mind being Mala, Vikshepa, and Aavaranaa. In this posting Bhagawan delves further into the various aspects of the mind itself, called the inner instruments or the Antahkarana. In Vedantic literature, the Antahkarana is organised into four parts: Manas (mind), the part that controls sankalpa (will or resolution) or the thinking mind; Buddhi (intellect), the part that controls discrimination and decision making; Chitta (memory), the part that deals with remembering and forgetting; and Ahamkara (ego), the part that identifies the Atman (the Self) with the body as 'I'. Having introduced the four inner instruments, Bhagawan elaborates on the four defects associated with these inner instruments. The four defects being: Braanthi (delusion), Pramaadi (danger), Karanaapaatana (weakness of the senses) and Vipralipsa (jealousy). All the 14 audio extracts in this posting have been taken from the Discourse delivered by Bhagawan on the 25th May 1990, during the Summer Course in Indian Culture and Spirituality, held at Brindavan Ashram, Whitefield, Bangalore. 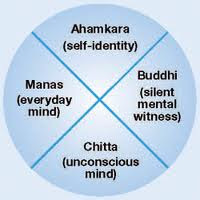 Clip-1 introduces the four inner instruments of the mind called the Antahkarana - Manas (mind), the Buddhi (intellect), the Chitta (memory / awareness), and the Ahankaara (ego). 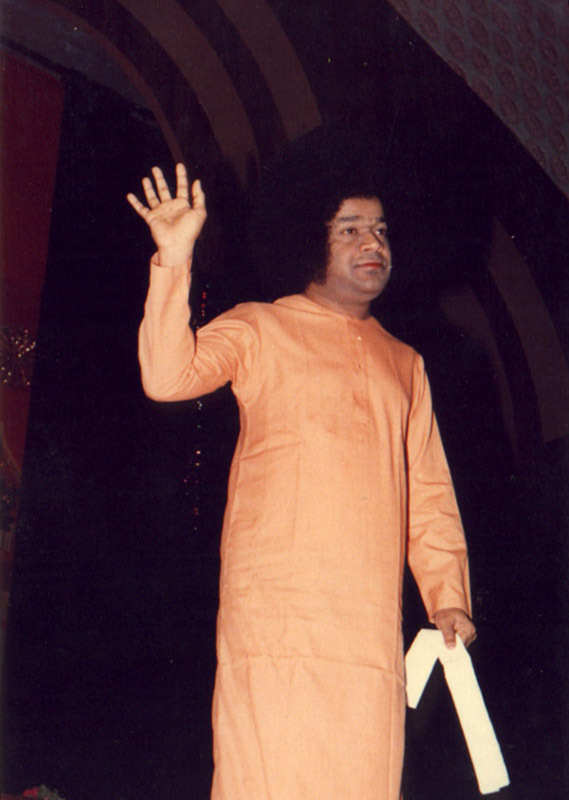 Bhagawan then makes a reference to the four defects associated with the Antahkarana - Braanthi (delusion), Pramaadi (danger), Karanaapaatana (weakness of the senses) and Vipralipsa (jealousy). In Clip-2, Bhagawan elaborates on the first two defects of Braanthi (delusion), and Pramaadi (danger). Clip-3 and Clip-4 talk about how sense organs have no life of their own and how the human body can be compared to a big torch light. In Clip-5, highlighting the aspect of Braanthi (delusion), Bhagawan talks about the ephemeral nature of worldly relationships. In Clip-6, He makes a special reference to the students of modern times and their nature. 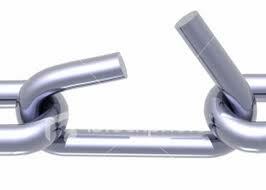 Clip-7 elaborates on the third defect Karanaapaatana (weakness of the senses). In Clip-8, Bhagawan narrates the story of the Landlord, the middle class farmer and their bulls to illustrate how sense organs behave in a very relative way based on the context and situation. Clip-9 elaborates on the disease that affects the senses, through the example of ailments like Malaria and Jaundice. Clip-10 focuses on the fourth defect of the Antahkarana called Vipralipsa (jealousy). 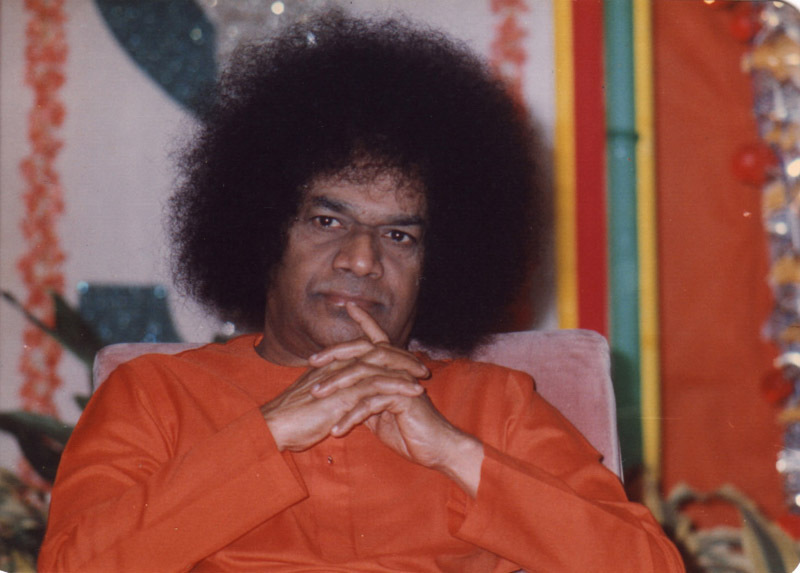 In Clip-11, Bhagawan explains how selfishness manifests in students, giving very simple, yet profound examples of students travelling in a bus and students checking for their examination results in a newspaper. In Clip-12, Swami appeals to the students to give up the bad quality of jealousy. Clip-13 highlights the key to cleanse the mind and remove the defects of the Antahkarana. Finally, in Clip-14 Bhagawan stresses on the fact that youth is the right time and age for engaging in the process of cleansing the mind and getting rid of the defects in the Antahkarana. Students, the Manas (mind), the Buddhi (intellect), the Chitta (memory / awareness), and the Ahankaara (ego), constitute the Anthahkarana of the mind. What is the meaning of Antahkarana? Karana means instruments. Therefore, Antahkarana means inner instruments. Many describe these in so many complex ways like Vedanta (but it is very simple). The eyes see outside, the ears hear outside, the tongue speaks outside, the hands perform activities outside, the nose detects smells outside. All these have a certain form. But mind has no form. The intellect has no form. The memory or awareness has no form and even the ego has no form. The collective formlessness of these four instruments constitutes their true form. These (inner instruments) have four kinds of defects. The first is Braanthi (delusion), the second is Pramaadi (danger), the third is Karanaapaatana (weakness of the senses) and the fourth is Vipralipsa (jealousy). It is these four defects that pollute the Antahkarana. The first defect is Braanthi. It is delusion. What type of delusion is this? It refers to a state of mind in which a person mistakes, for instance, a rope for a snake and a snake for a rope. In other words, he regards the unreal (temporary) as real (permanent) and the real (permanent) as unreal (temporary). Such delusions invariably lead to accidents or dangerous situations (pramaadam). If you hold a snake thinking it is a rope, you are certainly in for trouble. Man today regards the body as real. No. No. The body is like a water bubble. We never know when, where and in what way it will burst. This is not real. The body is just a cage of bones (skeleton). It is full of faeces, urine, bad odour and flesh; and does not emanate any good fragrance (Bhagawan here uses a phrase “Punugu Javadi Puttabodu” Punugu is a civet cat, a nocturnal mammal native to tropical Asia and Africa, which historically has been the main species from which was obtained a musky scent used in perfumery; Javadi refers to a perfume like Pomatum. Therefore, Bhagawan says that the human body does not emanate any such fragrances). Assuming such a body to be real, we are losing the strength that is needed to put this body into proper use. Students understand one thing clearly. Eyes, ears, mouth and nose all do exist. If we consider that it is the eyes which see, ears which hear, tongue which speaks (and nose which smells); then after death, we have the same eyes, same ears, same nose, and same tongue. Why does it not speak, why does it not see, why does it not hear? If you are the body verily, then why can you not see then (after death)? Because, the power that enables the eyes to see is absent. 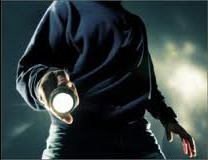 The human body is like a big torch light. The eyes are like the bulb of the torch. Buddhi (intellect) is like the switch. A big torch, a big bulb, and the switch is also on, but there is no light. Why? What is the reason? There are no cells in the torch. Because there are no cells in the torch, we do not get light. Our blood cells are like these cells and each blood cell is embedded with Divine energy. Sometimes, the cells may be there but their power would have been exhausted. That power is the Divine power. So long as this Divine Power is in the body, the body performs various functions. Who belongs to whom? Who is related to whom? Considering this (human body) as real, we subject ourselves to danger. We do not repose our faith in those whom we ought to, but we place our faith in things in which we ought not to. How long can you have people whom you consider as “mine” and “belonging to me”. Who belongs to whom? Can you consider your parents who have brought you up all along and nurtured you in so many ways, as yours? Yes, so long as they are alive, you must respect them, you must serve them and you must satisfy them. This is your duty, your dharma. Everybody have their own respective duties. While coming into this world, nobody gets even a piece of cloth and while leaving the world, nobody even gives their address. Who is related to whom? However, we consider this as Truth (real). This is not Truth (Sathyam). It is Mithyam. A Vedantin (philosopher) once came to Me. “Swami, Shankaracharya has said, Brahma Sathyam, Jagath Mithya. But, I see this world literally, I even experience this world empirically, I exist in the waking, dream and deep sleep state (Jaagrath, Swapna and Sushupthi states). How then can this be Mithya (delusion)?” He so questioned Me. Son, leave the fact that the world is Mithya to the world. Let it judge for itself. First of all find out whether you are True (Sathya) or Mithya (Delusion). If each one can discover whether he is True or Mithya, then he will be able to understand the same about the world too. Students of today are also like this. They are not making an attempt to understand their true nature. They aspire to know everything that is going on in foreign countries. What is going on in that country, what is going on in this country, you are trying to know everything that is going on in foreign regions; but are you putting in an effort to know what is going on in your own body? You are only receiving the news that is coming from outside, but you are not thinking about the nuisance that is coming from within you. Therefore, first of all realize your own Self (who you truly are). Try to rectify and correct yourself. Then you can try to mend others. This is the primary aspect that students must recognize first. Therefore, on account of delusion, danger sets in. The third defect is Karanaapaatanaa. What is Karanaapaatanaa? Karana means the sense organs (instruments). Apaatana means weakness. Therefore, the third defect is the weakness of the senses. 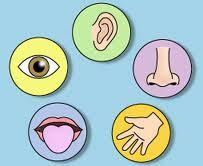 The senses get affected by a disease. The mind experiences through these senses that are affected by the disease. Consequently, the mind also becomes diseased. What is this disease that affects the senses? Senses never represent to you things as they are. They always behave in accordance to the time (context). Your Bull killed my Bull or my Bull killed your Bull? A small example: There was a great landlord who stayed in a village. He was the most senior person in all aspects in that village. In the same village, there was a farmer who came from the middle class of the society. One day, in a field on the outskirts of the village, the bull of the landlord (by name Reddy) and the bull of the middle class farmer were grazing. On account of some reason, the two bulls started fighting with each other. 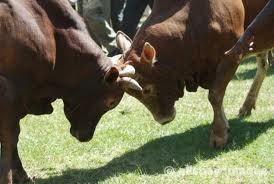 Due to this fight, there were some injuries in some parts of the body and the bull of the landlord fell down and died. The middle class farmer was terrified. The landlord is the head of the village, a very wealthy person, having a very great name. My bull has killed his bull. I wonder what punishment he will give me, thought the middle class farmer. Very frightened, he came running to the house of the Landlord. On account of the fear, he was very nervous. The nervousness is indeed a weakness. He said exactly opposite to what he was supposed to say! He said, “O landlord, your bull has beaten my bull and killed it”. Reddy garu (respectful way of referring to a great person) heard everything very peacefully. “O son, human beings themselves, being well educated and very intelligent, kill each other at times. After all, these animals are dumb. They have no Sujnaana, Prajnaana and Vijnaana (3 types of intelligence). If they fight among themselves and kill each other, what can anyone do? You do not need to worry about this at all, my son. This is very natural in the world. Thus the landlord replied in a very peaceful state of mind. However, the farmer realized the mistake he had made in his communication. He said, “O Master, I have committed a big mistake. It is my bull that has actually killed your bull”. Reddy garu was furious with anger. “What! Have you become so arrogant? Who do you think I am? If your bull has killed the bull that belongs to me – the head of this village, this is a great disaster. Your ego has gone up. Thus abusing him with great pride, the landlord said, “you have to pay a fine of Rs. 500”. Do you see; when he was told that his bull killed the other bull, he (the landlord) said that this was but natural. When he came to know that the other bull killed his bull, he said that this was a big mistake. Thus, since the senses behaving in this manner according to the context and circumstances, is on the rise in this world; the good becomes bad and the bad becomes good. Thus senses suffer from a type of disease. Let us say you get malaria fever. Prior to this fever, whatever food you ate, spicy tasted as spicy, salty as salty, bitter as bitter, and sweet as sweet. But once you caught the Malaria fever, even when you ate a Laddu (sweet ball), it tasted bitter. Now, is this the defect of the object? No, it is the defect of the senses? When you are good and healthy, you see white as white, red as red and black as black. 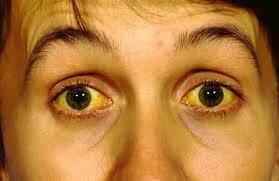 But once you get Jaundice, everything appears yellow to you. 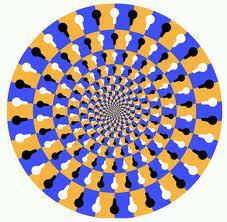 Thus, as the mind follows the senses that are affected by this disease, the mind also becomes diseased. Karanaapaatana implies that on account of the defects of the senses, humanity is deteriorating. Vipralipsa means jealousy. Jealousy is a very bad quality in humans. One can never tolerate seeing someone else happy. 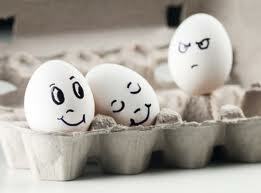 When one sees someone else happy, one is not able to bear with it. There may be a medicine for any other disease in any nation, but for curing the disease of jealousy, there is no medicine in this entire world. Not being able to accept and bear with somebody else being happy, is a very bad quality in humans. Be happy when you see goodness / happiness (in others). Be happy when you see others giving happiness. But never develop jealousy towards this or that person. Do not feel jealous about the other student who gets more marks than you. Instead, feel happy that if not you, at least your brother secured good marks. (Have the feeling that) All are my brothers; Brotherhood of man, Fatherhood of God. These are the types of sacred feelings that one needs to develop. What is the reason for developing this quality of jealousy? Selfishness, selfishness, selfishness. How is this selfishness present in students? When you get into any bus while travelling, there would be many old people, women, children and even sick people in the queue. Do you have a broad mind to think thus: “I am a student with a strong physique. Oh poor people, let them get a seat.” No. No. You feel that I alone must get a seat in the bus. Let anything happen to others. Because of such extreme selfishness, jealousy sets in. Give first priority to weak people, children and women. If you get a seat, fine. If not, walk a little distance. By walking you will get two types of conveniences and benefits. By walking, the body will have a good exercise. And also, if you walk for a mile, you will save the money that you would have been otherwise charged (had you taken the bus). This is the type of broadmindedness that you must develop. After the Examinations, the results are published in the paper. Lakhs of results (numbers) are printed across 2 to 3 pages in the paper. You are also waiting to see your result. When you open the newspaper, be it The Indian Express or The Hindu, you will find so many numbers there. Truly, you must feel so happy to see so many numbers over there. You must be happy thinking that “Oh, so many have passed!” But selfish ones will never experience such happiness. Among the lakhs of numbers, you will be focusing on finding only your number. “Is my number there? Is my number there?” First you must experience happiness, then you may proceed to find your number; nothing wrong. But such broad mindedness is not to be found at all. Students, in the very first instance, destroy the jealousy in you. You are the very embodiment of sacredness. The Vedas declare as such – Shrinwantu Vishwe Amritasya Putrah (Hark yea on the earth, the children of immortality). It declares – Son, you are the child of immortality. Therefore, develop Vishaal Buddhi (broad mindedness). Reduce the unsteadiness of your senses. Thereby, you will achieve purity of the mind. Then alone you will be a man with Trikarna Shuddhi (purity of three instruments – purity and unity of thought, word and deed). This is the Prasadam (gift) of the five elements, five life forces and the five senses. If we enhance this gift, then we will acquire Chitta Shuddhi (purity of the mind), Jnaana Siddhi (gift of wisdom), and we will be able to experience Divine Bliss. Therefore, students, mind by itself cannot see. It can see only through the senses. It cannot talk on its own. It can speak only through the senses. Thus, if we keep the senses in good shape, the mind will also remain pure and sacred. Therefore, you youth, when you have Deha Shakti (physical strength), Mana Shakti (mental strength), Adhyaatmika Shakti (spiritual strength) and Indriya Shakti (strength of the senses) all intact in this age; if you do not control your senses, how then can you control them in your old age? This is the time when you must earn God’s Grace to the maximum extent possible. When the tank is filled with rain water in Monsoon, the water can be used during the Summer. This is the best season for you. In this age you must increase God’s Grace on you and you must fill your heart with it. Only if you develop this now, you will have the opportunity to put it to good use in the future. 01-What are the four Antahkarana (inner instruments) associated with the Human Mind? 02-What are the four defects associated with the Antahkarana? 03-What the meaning of the first defect of the Antahkarana called Braanthi? What is the analogy Bhagawan uses to illustrate this defect? 04-The example of the rope and the snake given by Bhagawan to illustrate Braanthi, is elaborated upon by Sri Adi Shankaracharya and explained by Bhagawan several times in His Discourses. Can you explain this analogy with all its nuances? 05-What is the Pramaadam (danger) that one gets into by getting caught in Braanthi (delusion)? 06-Bhagawan says – Body is like a water bubble........Can you complete this quote of Swami? 07- How does Bhagawan illustrate that the sense organs have no life of their own? Do you recall the Chinna Katha of the mother who passed away- the young hermit son crying over her body inconsolably and the wise sage who advises the young hermit; that communicates the same message? 08-Explain the analogy drawn by Bhagawan between the human body and a torch light. 09-What is the answer that Bhagawan gives to people like the Vedantin, who are unable to believe the truth that this world is a delusion? 10-What is the nature of the students of today according to Bhagawan, and what is the news and nuisance that Swami talks about in this regard? 11- What is the meaning of the third defect of the Antahkarana called Karanaapaatana? 12-What is the message that Bhagawan communicates through the story of the Landlord, the middle class farmer and their bulls? 13-How does Bhagawan further explain the limitations of the sense organs using the examples of diseases like Malaria and Jaundice? 14-What is the meaning of the fourth defect of the Antahkarana called Vipralipsa? 15-Talking about how selfishness manifests itself in students, Bhagawan gives the example of students travelling in a bus. Explain. 16-How according to Bhagawan must a student demonstrate selflessness while checking for her/his examination results in a newspaper? 17-What is the one major requirement for Chitta Shuddhi (cleansing of the mind)? 18-How does Bhagawan explain the fact that youth is the right age for one to exercise control over the mind and the senses and earn God’s Grace?